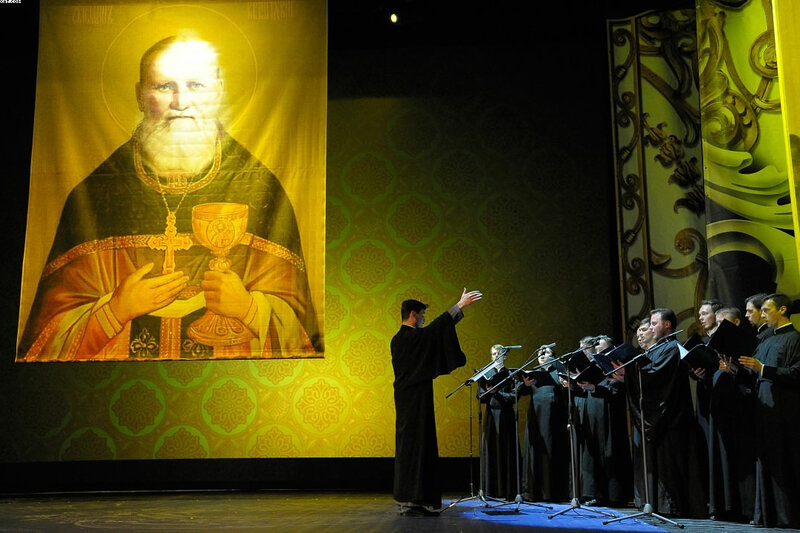 Anniversary celebrations marking the 25 th anniversary of the canonization of St John of Kronstadt began on June 10, 2015, in St Petersburg, Russia. Participating were members of the St John of Kronstadt “family”—representatives of churches, monasteries, high schools, orphanages, charitable foundations and other Orthodox Christian organizations named after the saint—some 450 people from 22 nations. The celebrations began at St John of Kronstadt Stavropegial Convent, established in 1900 by St John, where his relics now lie. 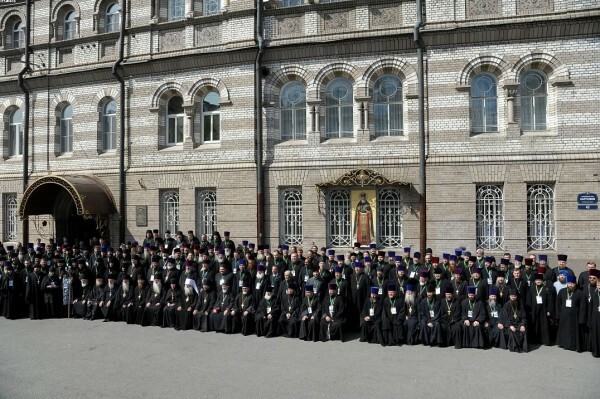 A moleben was performed by His Eminence Metropolitan Sergy of Barnaul and Altai, joined by Senior Priest of the Convent, Fr Nikolai Belyaev and rectors of churches dedicated to the saint from abroad. “Dear Brothers and Sisters: The Lord gathered us here today in the church founded by John of Kronstadt, so that we could in faith, love and purity praise our God and His saint, truly the all-Russian pastor St John, whom the Lord glorified even during his lifetime on earth with a multitude of spiritual gifts. Every day, his fame and glory grows. Over a hundred years has passed since he left this world; he was a great man of prayer in this life, and now he continues to pray for us. The Lord opens the hearts of His righteous saints. 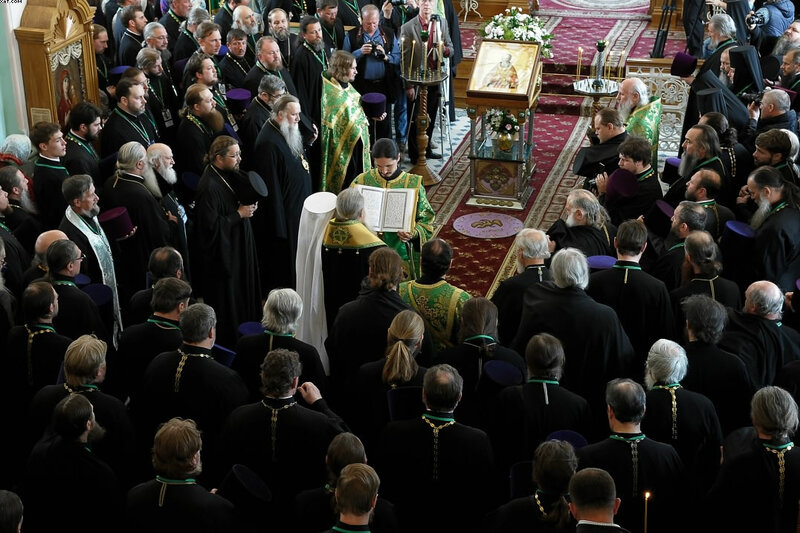 In our difficult life’s trek, we are in need of help and prayerful support, and this support and love is granted to us by St John,” said Metropolitan Sergy. 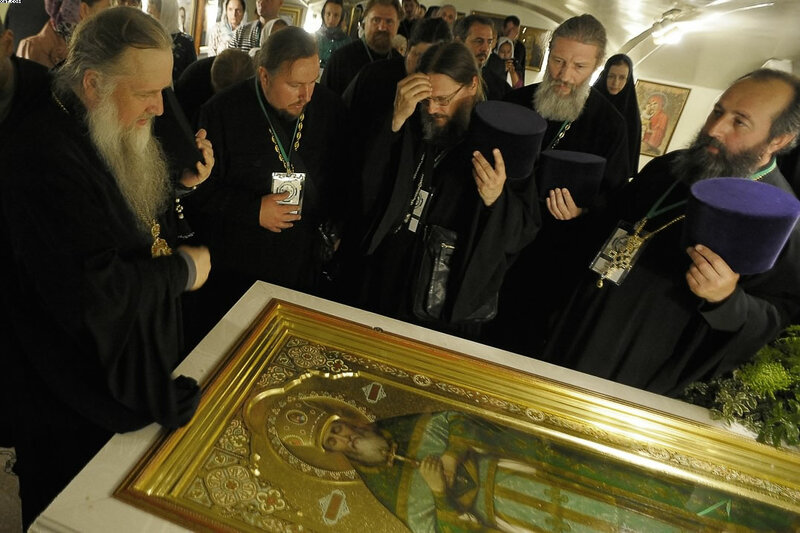 The convent’s head, Abbess Liudmila, then gave Metropolitan Sergy an icon of St John of Kronstadt and a lampadka lit with the Holy Flame from Pascha in Jerusalem. After the moleben, the participants headed for Alexander Park, where a youth ball and other events relating to the celebration called “Russia—a Great Future” were taking place. The first day ended at the People’s House, now housing the Music Hall Theater), where an event titled “A Grateful Russia to Her Great Pastor.” Attending were Metropolitan Sergy, His Grace Bishop Nazary of Kronstadt, Vicar of the St Petersburg Diocese; His Grace Bishop Peter of Cleveland, Administrator of the Diocese of Chicago and Mid-America of the Russian Orthodox Church Outside of Russia, and other representatives of the Russian Orthodox Church and the Russian Orthodox Church Outside of Russia. The organizers of the event also spoke: Vyacheslav Makarov, Chairman of the Legislative Council of St Petersburg, Yury Gladunov, Head of the Petrograd Region and Evgeny Khachaturov, President of the St Petersburg Organizing Committee. Fr Nikolai, the originator and organizer of the event, talked about how the idea of this celebration formed, the titanic effort it took to organize it in the hometown of St John, the town of Sura in Pinezhsk region of Archangelsk oblast. A documentary by Nadezhda Bolshakova, “By the Name of John of Kronstadt,” was then shown which covered the brotherhood of the “family” of St John. It showed the most devoted and selfless followers of St John throughout the world, about the people who in very difficult and even dangerous circumstances continue to glorify him and his works and fulfill his legacy. The heroes of the film were the priests and founders of orphanages, houses of charity and clinics in the USA, Pakistan, Chile, Iran, Indonesia, Germany and Russia. Afterwards, the subjects of the documentary ascended the stage: Priest James Dank of Lincoln, NE, Priest John Tanveer, who ministers to several Orthodox missions in Pakistan and Bangladesh, Priest Alexander Zarkeshev, Head of the Orthodox Mission in Iran, the UAE, Kuwait and Afghanistan. The event concluded with the intonation and singing of Many Years by a choir on stage and all in attendance. Souvenirs were then distributed to all the guests.